HarderFaster is hosting the 140+ Room at Trance Sanctuary's 6th Birthday on March 18th with headliners NG Rezonance and PHD. 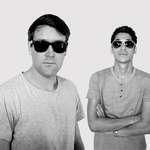 Fancy a bit of Custard at Trance Sanctuary's 6th Birthday? Custard is a name I’ve known on the scene for many years, from his involvement with Planet Angel and his tracks on Discover Records. I first worked with him a couple of years ago at the Chilled in a Field festival where we both played the main stage and I got to see first-hand what an excellent DJ and lovely fellow he is. Charlie Goddard has been a firm favourite in the Midlands for a number of years, playing events such as Storm, B2T, Tidy, Frantic, Rave On, AWsum, Xstatic, Sundissential, plus the legendary Tidy Weekenders and Ibiza Bootcamp. Recently crowned Resident for Storm at the Emporium and brand new Resident for Blessed, Charlie continues to hold his own within the scene, working regularly with Tidy Trax and other leading Hard Dance brands, with his original productions and remixes being featured and supported across the board. 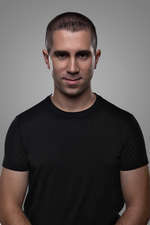 For over a decade Giuseppe Ottaviani has forged a reputation for being one of the leading Trance artists within the scene today. His tracks such as ‘Through Your Eyes’ ‘Lean On Me’ and ‘Ride The Wave’ have all been crowd favourites and he has remixed tracks for the likes of Armin van Buuren, Paul van Dyk and Gareth Emery. This autumn the Italian released his third studio album ALMA and ahead of his appearance at Trance Sanctuary on the 19th November, we found out more about what goes into making an album. The saying mighty oaks from little acorns grow applies to many things, from children to events, which is handy because this next interview is about both! Chilled in a Field began as a small festival some 6 years ago and has now become an amazing, although still personal festival which is getting rave reviews from attendees and the media. It’s somewhat paradoxical that although there are now more music festivals than ever before, a really special festival is still hard to find. Last year’s Noisily Festival of Music & Arts therefore surpassed all expectations, for the line-up was so good that I could easily have spent the weekend at any one of the four stages, while its pristine location deep in the woodland meant that even the odd downpour didn't kill the party. And with the atmosphere around the perfectly condensed site consistently peaking, we sure did party! Lifeforms detected at Astral Circus! Lifeforms are Maor Tsemah and Charlie Holden, who, from different sides of the world, have created one of the most exciting new musical partnerships of the progressive psy trance world. Their evolution of the prog-psy sound that has been rising in popularity over the last decade pushes at the tougher end of the progressive spectrum with a full-on flair, igniting dancefloors with a bang! There are very few producers who can make music for almost every time and place, but as a long-time fan I reckon Kiwi composer Grouch is one of those extraordinary few. From the lush chilled sounds of the likes of Soul Provider and his Kaya Project remix of One Hundred Lights to his breaksy, dubbier, and downright wonky glitchy sounds, to his more full-on techier, proggier, bassier and psychedelic tracks, Grouch’s back catalogue covers a uniquely vast spectrum of electronic music.